The ELD Mandate from the Federal Motor Carrier Safety Administration (FMCSA) is now in effect. The ELD mandate will be in full effect April 2018. Many truckers are struggling with choosing the right ELD Device. ELD Devices offer many features and different functionality. However, the most important is to choose an Approved ELD Device. Further, drivers and fleet owners are looking for devices that would make them compliant with the ELD mandate. The first step is to be aware of what the FMSCA guidelines are for Approved ELD Devices. The FMCSA published strict guidelines regarding approved ELD Devices. Second, the ELD chosen should fit the specific fleet’s needs. Otherwise, you may find yourself needing to buy all-new devices for every vehicle in the fleet. According to FMCSA, these are some of the most important features to ask about in the ELD device that you’re considering. E-log device allows you to create different accounts for administrators and drivers. The Device is integrally synchronized to the engine control module so it can automatically record data including vehicle motion status and engine power status among others. FMSCA approved device identifies driver while recording location, date, time, vehicle miles, and engine hours every 60 minutes and does so automatically. The approved device can record the location of a vehicle while driving for on-duty hours, within a 1-mile radius, and can reduce the accuracy to 10 miles if the vehicle has been authorized to be used for personal reasons. The clock is synchronized with coordinated universal time (UTC). A device that can retain and display data for the last 7 days, including the current day. Tamper Resistance- tamper with the device either by erasing or otherwise altering will not be allowed. The original data that was collected by the ELD must remain. Approved Device requires a driver to review any unidentified driver records so they can acknowledge or deny that they were driving during that time. A compliant device allows drivers to get copies of their ELD records. it should do that whenever needed whether they share an electronic file or create a printout. It must supports both local transfers of data through Bluetooth or a USB2.0 port or telematic transfers of data through email or other wireless internet services. Electronic Logging device requires drivers to certify and provide a written explanation every time they need to make edits to driving records, whether it’s the driver making the change or another user. Device requires driver records to be certified at the end of every 24-hour period. Device can display the required standardized display when asked by authorized safety officials. They can do this by showing the screen display, or by printing out a graph which includes a daily header, detailed daily log data, and a graph grid that shows any driving duty status changes. The printed graph grid must be at least 6 by 1.5 inches. Device provides either a mute option or volume control for any audio features it may have. Manufacturer comes with a user manual, instructions on how to transfer hours of service (HOS) records to safety officials, and troubleshooting instructions for both record-keeping and handling malfunctions. Because not every ELD device includes these standards, you should always check before you buy. Also, don’t trust that just because a device claims to be an ELD device, that it will have all of the features required by the FMCSA. For that reason, we’ve gathered a few tips for you that will help you find an approved ELD device for your fleet. Tip # 1: Check FMCSA’s list of registered ELDs. 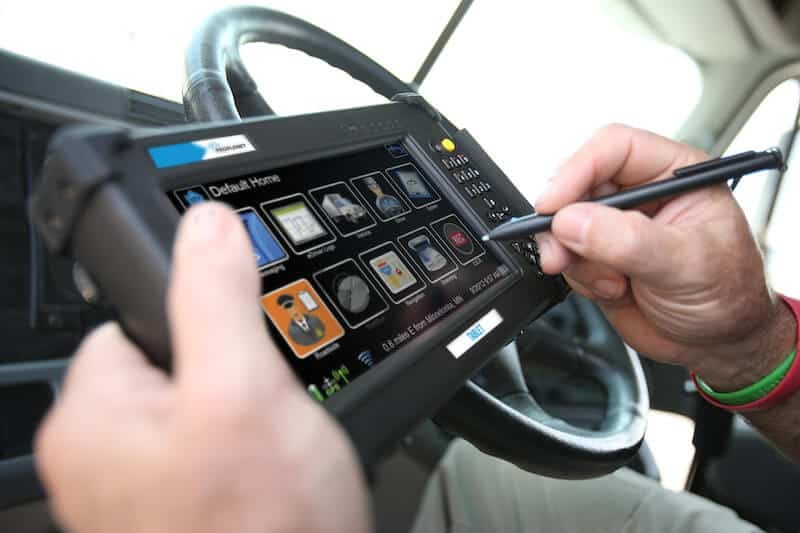 In order to register to be on FMCSA’s list of registered ELDs, a manufacturer needs to self-certify that the device complies with all FMCSA’s technical specifications. Keep in mind that FMCSA does not certify, approve, or recommend any devices on their list. That means that even if a device is listed, it may not actually be compliant. If a device is found to be non-compliant, it will be removed from the list. However, if nobody else has discovered or reported the problem yet, you could find yourself in trouble. Tip 2: Check for all of the features. Spend some time, on the manufacturer’s website or perhaps contact their customer service department. Try to find all the information you possibly can find. It’s important to make sure you check every feature on FMCSA’s list, is available on that device. Even lacking in just one feature makes a device non-compliant. Therefore, one should make sure that the ELD device you’re considering has all of them. Otherwise, you won’t be able to use it. It’s important to note that there are many devices out there. Many of those devices include Fleet Management Systems (FMS) functions. Those devices maybe labeled as ELDs. Although, it can certainly benefit you as the fleet manager to have these functions. Those functions may not required by FMCSA. Therefore, you should simply make sure that the device has all of the FMCSA-required features. If it also has other features that is great. Tip 3: Check on the manufacturer. Every ELD manufacturer is different. When choosing a company, truckers need to select, a company that will provide you with a quality service. Most importantly, some of the devices carry a minimum of 3 year contract. Further, you want to make sure the manufacturer provides high-quality service. The last thing you need is to be stuck in a 3 year contract with poor service. Start by going to the Better Business Bureau and making sure that the company itself is in good standing with them. From there, you’ll want to check online reviews about their ELD services as well as their devices from real users. Many devices devices that offer monthly subscription, make sure the company does not charge any hidden fees. Needless to say that you need to look for a device manufacture that offers strong support for the product. We hope this article helped you in your quest to find approved ELD devices. Realistically, there are a lot of devices out there. Even thus looking through all of them may take some time. However,eventually you will find the right approved ELD devices for your company. This will help you get a better idea of what to expect when you do choose an ELD provider. Reviews are not always the best indication of the quality of the device. However, in some cases, the reviews could give you some technical insight. That device will not only allows you to be FMCSA-compliant but also helps your company save money. It will be well-worth the time and effort it took you to conclude your search.